Your organization has the ability to download a individual CSV for each sponsorship program. This report is currently being updated, but will contain all information pertaining the child being sponsored and the contact info of the donors who are sponsoring each child. To pull this report, follow the instructions below. 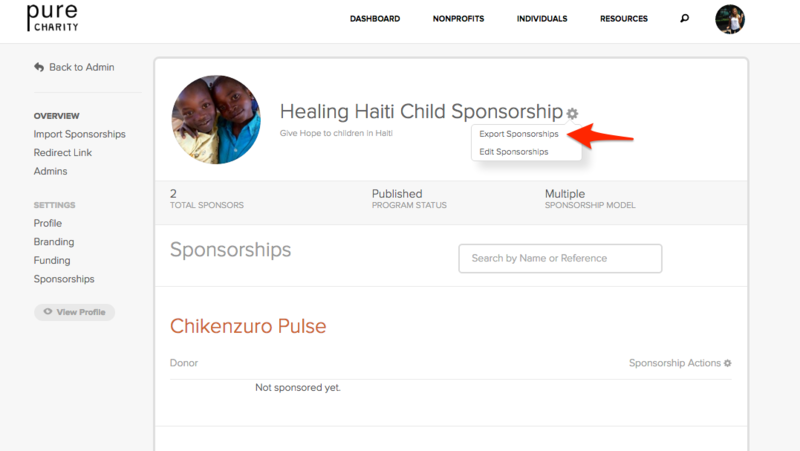 STEP ONE: Starting from your organizations dashboard, click Sponsorships. Next click the Sponsorship program name. Step Two: Click the Gray Gear Icon. Click Export Sponsorships. Your download should appear on your computer!